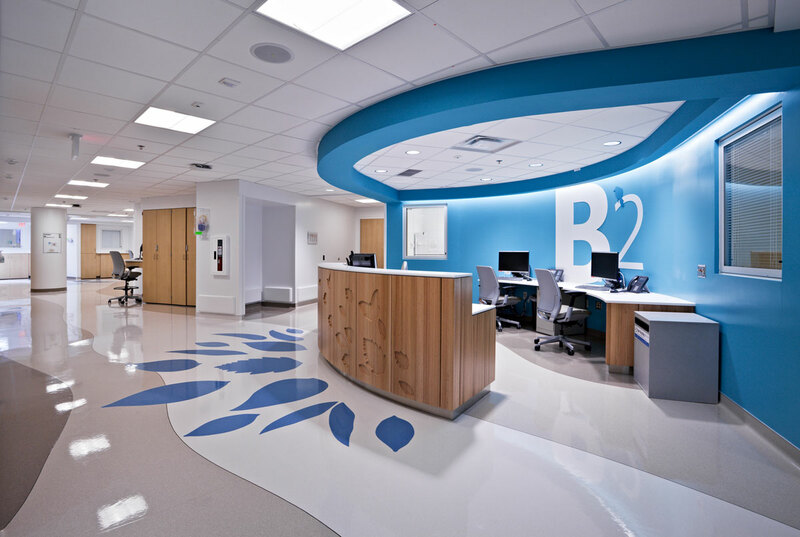 Vinyl Hard Flooring is often an expensive type of flooring for any business to consider. Regular vinyl Floor Cleaning by mopping is the best way to keeping your vinyl floor clean and shiny. First of all your vinyl, while it has 1 layer or 3 layers of polish slowly becomes thinner leaving the vinyl floors more prone to surface damage therefore staining that later may be very difficult to remove. Our Sydney Vinyl Floor Cleaning service provides you with a fast and effective solution to restoring your vinyl floors. We have experience vinyl floor cleaning for warehouses, shopping centres, offices, showrooms, vets, hospitals etc. A standard Vinyl Floor Cleaning will provide you with 1 layer of polish once it has been stripped and washed. Here at Sensational Vinyl Floor Cleaning we provide all customers with 3 layers of polish to ensure your vinyl floors stay cleaner and polished for longer! Sensational Vinyl Floor Cleaning Sydney start by stripping any existing vinyl floor polish leaving them exposed. We then wash and scrub your floors with a rotary buffer machine and industrial pad to remove all scuff marks, dirt, stains etc. When our highly skilled technicians are satisfied your vinyl is looking its best, we seal the surface with not 1 but 3 layers of Vinyl Floor Cleaning polish. Upon completion, we give the entire vinyl area a thorough mop and inspection to leave your vinyl clean, shiny and looking like new. 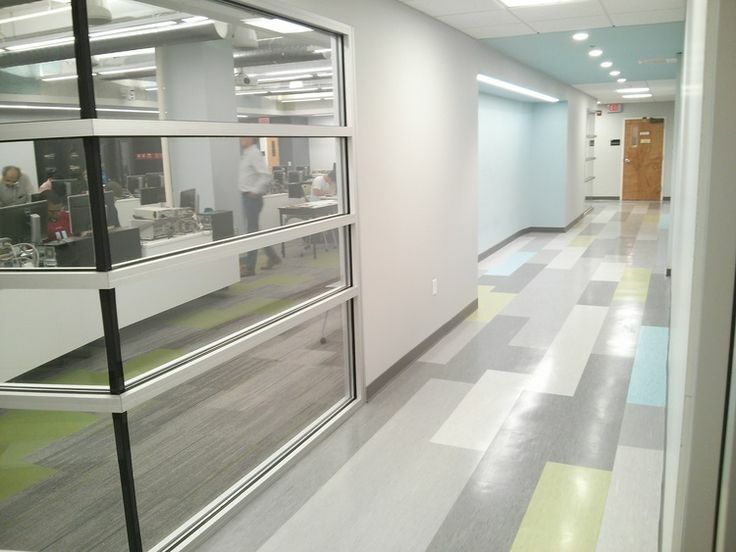 Vinyl and Linoleum flooring present unique challenges to business owners. Sometimes cleaning the floor on your own can be an almost impossible task. Save yourself the hassle and give Sensational Vinyl Floor Cleaning Sydney a call. Our Vinyl floor cleaning professionals have all the equipment and knowledge needed to thoroughly clean even the toughest of surfaces on your Vinyl Floors. 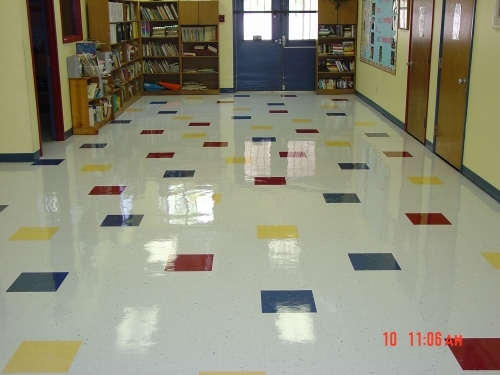 Over time, dirt and other contaminants can build up on vinyl floors. 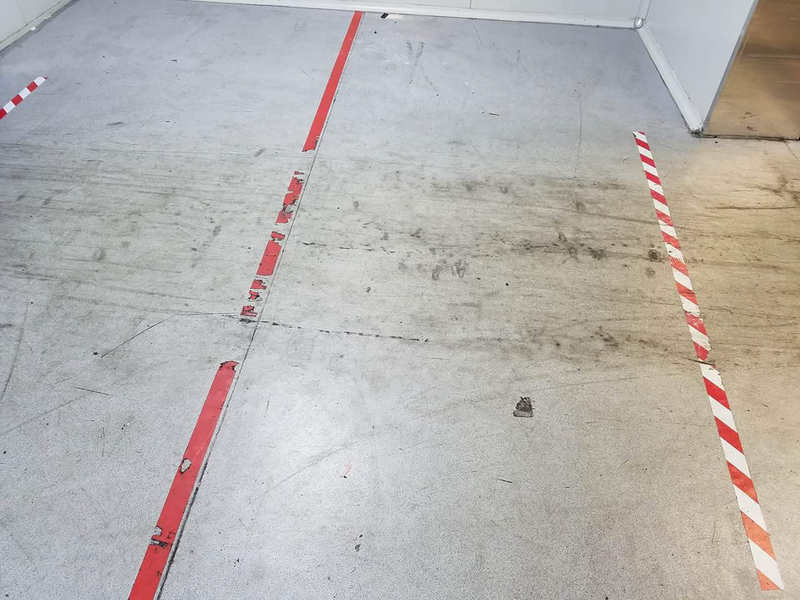 While these contaminants are tough to clean, even the most stubborn dirt is no match for our specialised Sensational Vinyl Floor Cleaning Sydney technicians. A vinyl floor is waxed or finished to protect the Vinyl tile itself from possible staining, but the major reason is for the aesthetic appeal as a highly polished floor is considered very beautiful and even cleaner. Vinyl floors are also known as VCT (vinyl composition tile), which is made from Polyvinyl Chloride chips that are typically formed into 12-inch squares in different colours and patterns and usually 1/8 inch in thickness. In any Vinyl Floor Cleaning care program, there are maintenance steps necessary to maintain that initial lustre and shine. 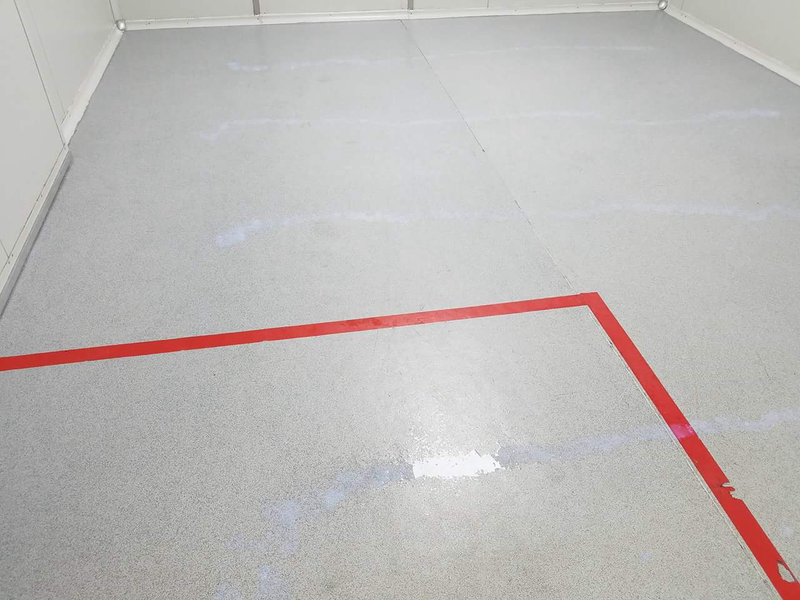 When a brand-new Vinyl floor is installed it is important to “strip and wax” the floor as soon as possible. It is important to ask the installer when this can be done as there are different adhesives used to install the tile and the drying or curing times can vary. This is important to find out from your installer. 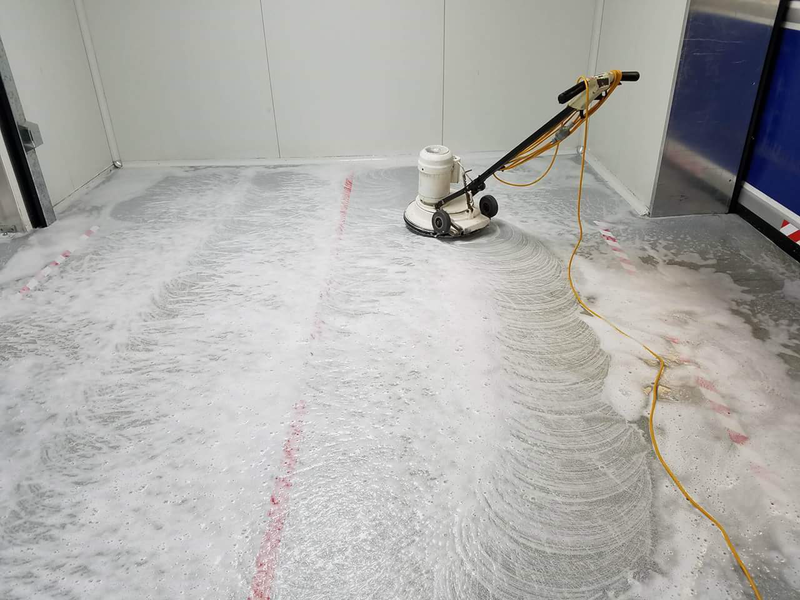 Our first step at Sensational Vinyl Floor Cleaning Sydney is to apply a stripping solution used in conjunction with a rotary floor scrubber with a black pad on the bottom to remove the old wax or finish that might be on the floor. A black pad is the most course and aggressive to effectively clean the tile with the help of the stripping solution. Once the floor has been stripped and free of prior layers of polish the vinyl itself is quickly “neutralised” by rinsing the floor with an acidic solution such as vinegar and water. This is important so that the floor and the new Vinyl Floor Cleaning finish will bond well. Now it is time for the “wax” or floor finish to be applied. The quality of floor finish used is important. 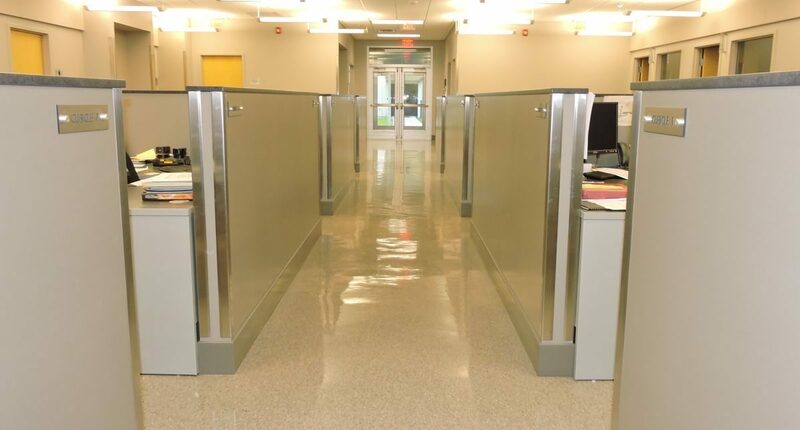 We use an affective and durable floor finish that is longer lasting and will not have to be stripped as often. The coats are applied allowing drying between each coat.It’s not unusual to apply five to eight coats depending on the need of the customer and their budget. The first coats are sealing the floor. The subsequent coats start to build up a durable finish that will be “buffed” or burnished with a high-speed floor machine and polished, bringing it to a highly polished lustre. Once our technicians complete the Vinyl Floor Cleaning, the floor must be mopped daily to prevent dirt and debris damaging the surface if only slightly. Buffing or burnishing the floor often will get it to snap back and look great again. Realize that each time you buff the floor you are shining the floor but also taking a bit of the wax or finish off as well as the top layer of dirt that has been walked into the top finish. After buffing week after week there will be a point, depending on the amount of foot traffic and wear & tear on the tile, you will need re-apply Vinyl Floor Cleaning finish. This next step is called, scrubbing and waxing (refinishing). This would begin by dusting and damp mopping the floor then scrubbing with a machine with a much softer pad to take off only a bit of the top layer of finish and dirt. This would be done with a detergent not a stripper. At this point we are just removing the top layers so we can replace the floor finish to build your floor up again. We apply 3 coats of floor finish where each one must thoroughly dry before the next one is applied. This procedure is typically done quarterly or every four months. Again, buffing often maintains the shine. At the end of the year it will be time to strip and wax the floor again, taking off all the old finish and starting from the beginning once again. Floor waxing, or floor finishing, stripping etc., all fall under the category of floor care. In this sense, we are referring to the proper care of vinyl floors. Vinyl or Linoleum flooring material is used in commercial flooring because of its durability, but you still might find it on a kitchen floor or bathroom depending on when the dwelling was built. Vinyl Floor Cleaning, waxing and care is important because dirty Vinyl floors are immediately noticeable. A room with a clean, shiny floor significantly adds to the professionalism of a space. On the contrary, a room with a dirty floor will look much dull and unpleasant. At Sensational Vinyl Floor Cleaning, we provide beautiful and professional results with Vinyl Floor Cleaning and Waxing in Sydney. This type of flooring can and should be “waxed and buffed” to keep up the appearance. The word “waxing” is really a term from the old days. Paraffin was actually used to wax and then shine the floor. Floor waxing in the past usually created a bit of a potential hazard as a waxed floor could be slippery. As time evolved newer floor finishes were created to not only maintain the aesthetic lustre of the floor but make it more slip proof at the same time. The modern, and more correct term is, “finishing” or “refinishing” a Vinyl Floor meaning the application of a liquid Vinyl Floor finish to the Vinyl or Lino floor. Even today it still is referred to as “Vinyl Floor waxing”. A Vinyl or Lino Floor waxing and cleaning program like this will keep the vinyl floor looking beautiful on a consistent basis. We pride ourselves on providing among the highest quality Vinyl Floor Cleaning and Waxing in Sydney. Contact one of our helpful representatives for an estimate on your Vinyl Floor Cleaning. In an industry that has been plagued by poor, unreliable and short-lived service. We have made a pact to you, our customer, that “we deliver what we promise”. Call Sensational Vinyl Floor Cleaning Sydney today for the floor cleaning services you need and deserve! We’ll get your floors looking great again! Complete Vinyl Floor Cleaning, stripping, sealing, waxing and buffing for all types of hard surface floors in Sydney. 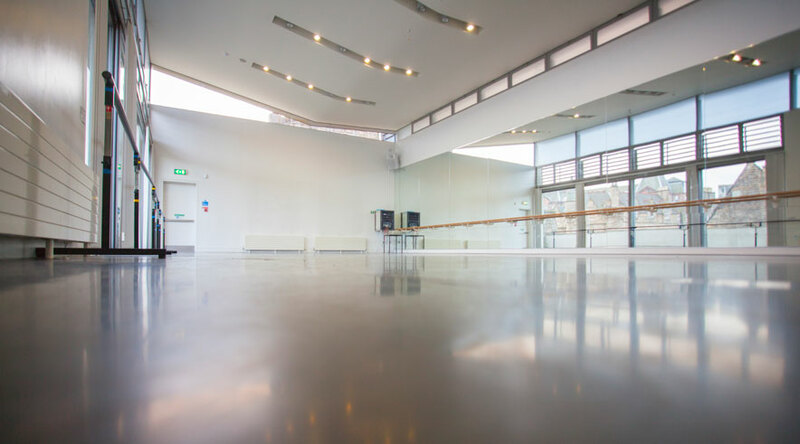 Although hard surface floors can be extremely durable, they require proper maintenance to preserve their resilience and lustre. 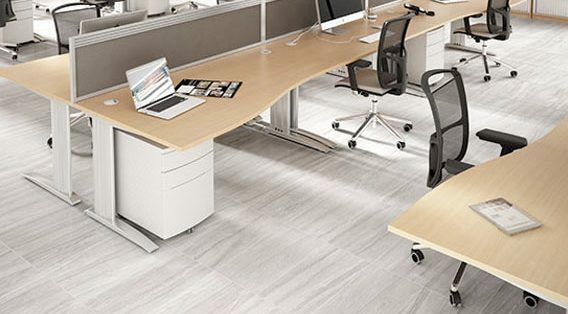 With our customised commercial Vinyl & Lino Floor Cleaning maintenance program, we can protect your company’s flooring, and keep it looking like new. High traffic areas are prone to dirt and grit. Dirt and grit can cause scratches, nicks and damage.We remove your floor’s old sealer. Finish and reseal it with a high-quality all in one sealer, finish and buff the surface to a deep shine. This sealer and glossy finish will extend the wear of your floor, reduce scuff marks. Also protecting your vynly floors from scratches as it will guard your vinyl floors against soil penetration and abrasion. What is Vinyl Stripping and Sealing? Vinyl floor cleaning, stripping and seal is a process of removing a layers of sealer, cleaning and resealing the surface. Depending on the condition of the vinyl floor, this involves removal of some top layers. Then application of a brand new top layer. Often during a regular maintenance program, the application of a new top layer is an intermediate step.This is performing a full strip and seal of the vinyl floor.The amount of foot traffic is frequently a determining factor in the scheduling of Vinyl Floor Cleaning and maintenance.